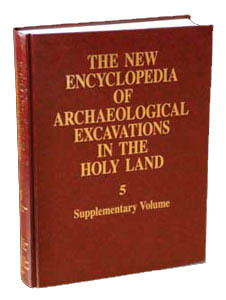 In 1994–1995 the Israel Antiquities Authority conducted a salvage excavation at the southern edge of Tel Beth Yeraḥ in connection with the widening of Highway 90. It was directed by N. Getzov. Work was conducted in two excavation areas: area AB on the western side of the highway included a 3–4-m-wide and 85-m-long strip, while area C involved straightening of a section (east of the highway) cut during previous highway construction. Four Early Bronze Age strata (V–II) and a Hellenistic stratum (I) were identified. The strata are local to the excavation areas. THE EARLY BRONZE AGE IB (STRATUM V). Remains of four phases of fortifications in area AB were noted in this stratum. In the earliest phase, W190 was erected at the upper edge of the natural hill upon which the tell developed. The wall was constructed of bricks laid upon two level terraces cut into the virgin soil and remained standing to a height of approximately 4 m; its width could not be determined. At the base of the southern face of the wall was a repair that included facing with two courses of fieldstones and a brick superstructure. In the following phases, the wall was widened (W191), destroyed, and rebuilt (W156). To the final phase belong very large brick collapses found above and sealing the destruction level of the previous phases. These collapses apparently came from another wall, the base of which was removed when foundations of a later wall were constructed. A similar picture emerges from the section in area C, where remains of W190 and W191 were especially prominent.